When you hear about a charity record by one of rock’s biggest names and one of Hollywood’s biggest stars, you tend to sit up and take note. When the stars concerned are Alice Cooper and Johnny Depp, you REALLY take note! 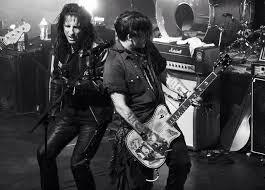 Three years ago Alice and Johnny Depp got together and decided to resurrect the Hollywood Vampires – minus the alcohol content. Three years down the line, in tribute to many of the founding members and to raise funds for MusiCares, the Hollywood Vampires album has been unleashed on the world. Primarily an album of cover versions, this is one charity record you will want to invest in…trust me. The record opens with a dark tale, The Last Vampire, narrated by the late great Sir Christopher Lee shortly before his death. This sets the scene beautifully for what’s to follow! It’s nigh on impossible to single out one particular track on this record. Guest stars turn up to play on every one of the fourteen tracks. The CD booklet reads like a “Who’s Who” of the music world. You’ll find Zak Starkey, Ringo Starr’s son on drums during My Generation. AC/DC’s Brian Johnson duets with Alice Cooper on Whole Lotta Love. Dave Grohl plays drums on One/Jump Into The Fire while Perry Farrell shares vocal chores with Alice. Come And Get It sees Sir Paul McCartney multi-guest not only on vocals but also on piano and bass. Jeepster finds Aerosmith’s Joe Perry on guitar. No celebrity charity record would be complete without a guest appearance by Slash. He joins an all-star line-up which includes Alice, Johnny Depp, Brian Johnson and Joe Perry on School’s Out/Another Brick In The Wall pt 2. Awesome stuff. Johnny Depp plays a mean guitar on each and every track plus backing vocals on one, proving he’s more than capable of holding his own as a musician among these rock icons. Is this the best album to be released this year? No. Are these the best cover versions of these classic rock tracks? Probably not. Is there talent, passion for music and a damn fine listen on here? Hell, yes! This record’s highlight for me is the closing track, Dead Drunk Friends. 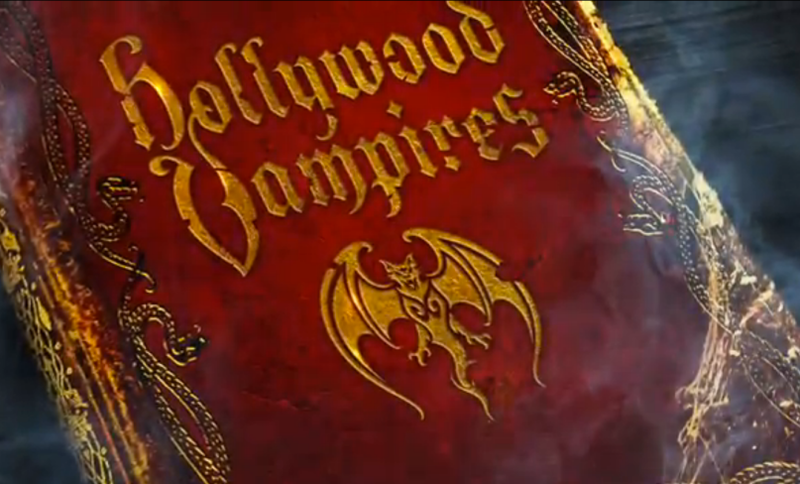 It’s a poignant reflection on the inspiration behind the Hollywood Vampires. But I can’t remember why…. Who drank until they died. To those, we fans, loved and lost too young. This entry was posted in Uncategorized and tagged #albumreview, #HollywoodVampires, #music, #musicreview, Alice Cooper, Johnny Depp, Sunset Strip. Bookmark the permalink.